Mercedes has shown off a radical concept car at the Frankfurt International Motor Show, heavily inspired by its F1 cars. The two-seater Mercedes-AMG Project ONE vehicle produces over 1000hp, delivers an eight-speed manual gearbox and reaches a speed of over 350 km/h. 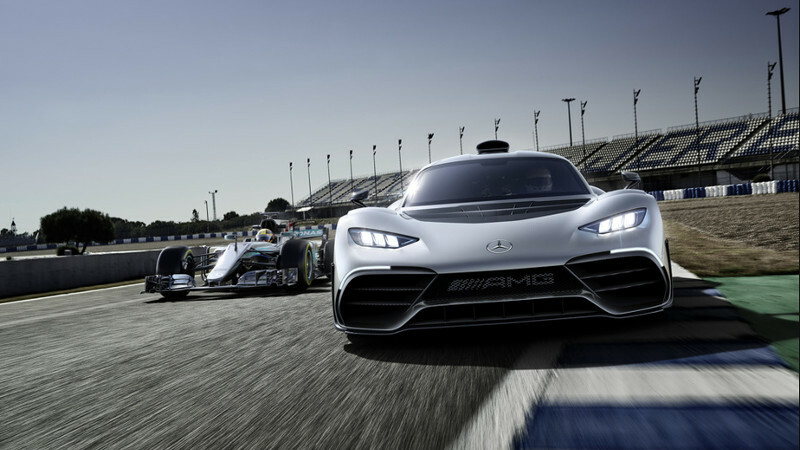 “The high-performance plug-in hybrid drive system of the Mercedes-AMG Project ONE comes directly from Formula 1, and was realised in close cooperation with the motorsport experts of Mercedes-AMG High Performance Powertrains in Brixworth,” read a press statement on the automaker’s website. As for the actual details, you’re looking at a 1.6 litre V6 turbo engine combined with four electric motors. “One has been integrated into the turbocharger, another has been installed directly on the combustion engine with a link to the crankcase and the two remaining motors drive the front wheels,” Mercedes elaborated. Using electric power only? Then expect a range of 25 kilometres. But you are getting 0-200km/h in a shade under six seconds. The car also packs some technological wizardry in terms of systems and modes. 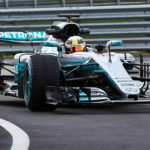 “The driving modes range from purely electric operation through to a highly dynamic mode which corresponds to a setting used in Formula 1 qualifying for optimum lap times,” Mercedes reveals. The driver can also nudge the accelerator to move off the line under electric power only. Give a harder nudge and the V6 engine kicks in. It’s unclear when the production version will launch, but Mercedes says the concept offers “specific indications of what to expect”.